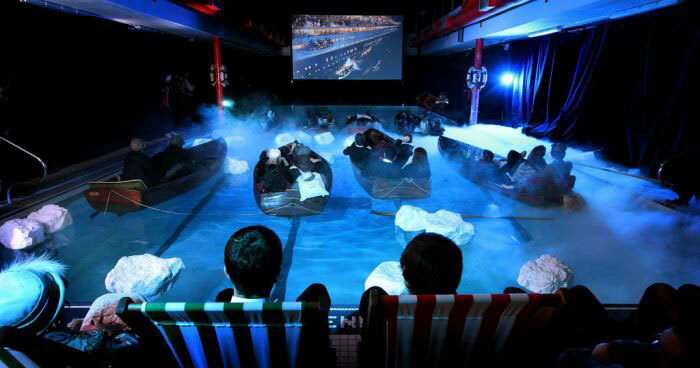 Not sure why I’m just now seeing this but I’m glad I found it! 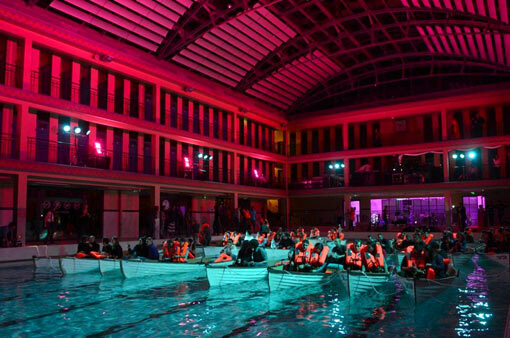 Fox France held a premiere screening, with the help of the City of Paris, inside the Piscine Pailleron swimming pool, in Paris, France. 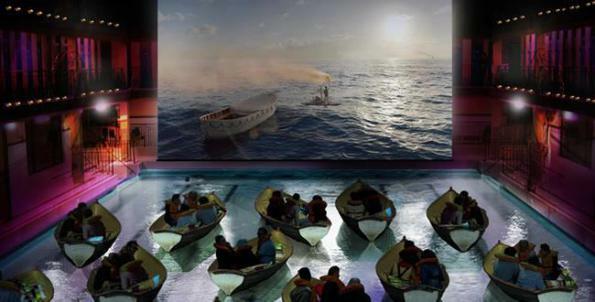 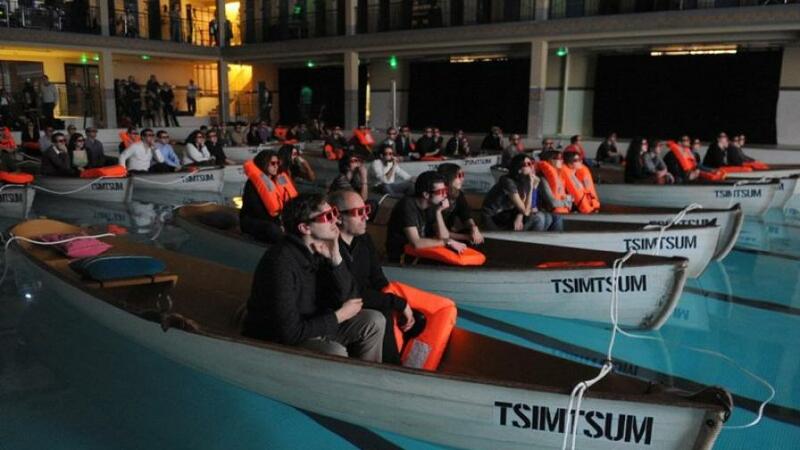 The event was called L’Odyssée de Pi: Cinéma sur l’eau – which directly translates to The Odyssey of Pi: Cinema on the Water and consisted of having audience members enjoy the movie from within one of several floating boats, complete with life jackets.